I enjoy creating beautiful smiles and healthy bites that build a strong foundation for oral health while also increasing each patient’s self-esteem. I also find great pleasure in the personal relationships that are formed over the course of orthodontic care. I am gratified by the number of family members I have the privilege to treat as well as children of those I treated when they were adolescents. My practice strives to utilize the most up-to-date technologies in a very caring, communicative, and enjoyable environment, to obtain the most optimal treatment results possible. Development of well-balanced faces with attractive teeth and healthy bites are the major goals we set for all of our patients, as well as coordinating care with other healthcare providers when a multi-disciplinary approach is indicated. I attended the University of Oklahoma, graduating with a Bachelor of Arts degree in History. I completed my dental and orthodontic training at Texas A&M University College of Dentistry, earning my Doctorate of Dental Surgery and Certificate in Orthodontics. I continue my education by participating in numerous courses and seminars and have attended the Roth/Williams Center for Functional Occlusion. 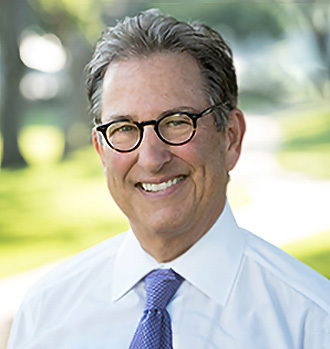 In addition to being an active member of many professional associations, I am also a Diplomate of the American Board of Orthodontics, and have taught in the orthodontic residency program at Texas A&M University College of Dentistry since 1996. I was born in St. Louis, Missouri, and raised primarily in Oklahoma City, Oklahoma. I have lived in the Dallas, Texas area since 1969. My wife Madeleine and I have been married for more than 40 wonderful years. We have three daughters and nine grandchildren who I adore. When I have free time I enjoy playing golf and tennis, biking, swimming, and aerobics. I am an active member of the Plano Rotary Club, the Plano Chamber of Commerce, and the McKinney Chamber of Commerce. I also teach part time at Texas A&M University College of Dentistry. If you would like to schedule an appointment with Dr. Geller, or have any questions, please contact our Plano dental practice today!